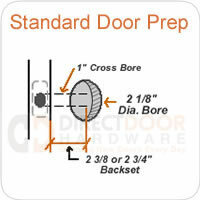 The M220 Surface Mounted Deadbolt secures to narrow style doors, thin cabinet doors and even glass cabinets from 1/8" thick. Great for many applications including: boats; RV's; gates; safes; drawers; liquor / medicine cabinets and lockers. The M220 lock is most commonly used on aluminum storefront doors and is recommended where there is high employee turnover. 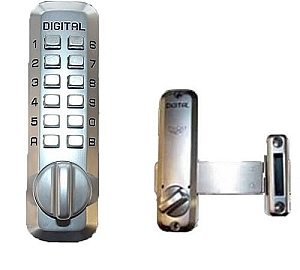 Lockey Digital Systems, Inc. provide a lifetime mechanical warranty on many of their locks. Finishes are warranted for up to 5 yrs. Please read the Lockey Keyless Lock warranty in its entirety for complete warranty and product information.